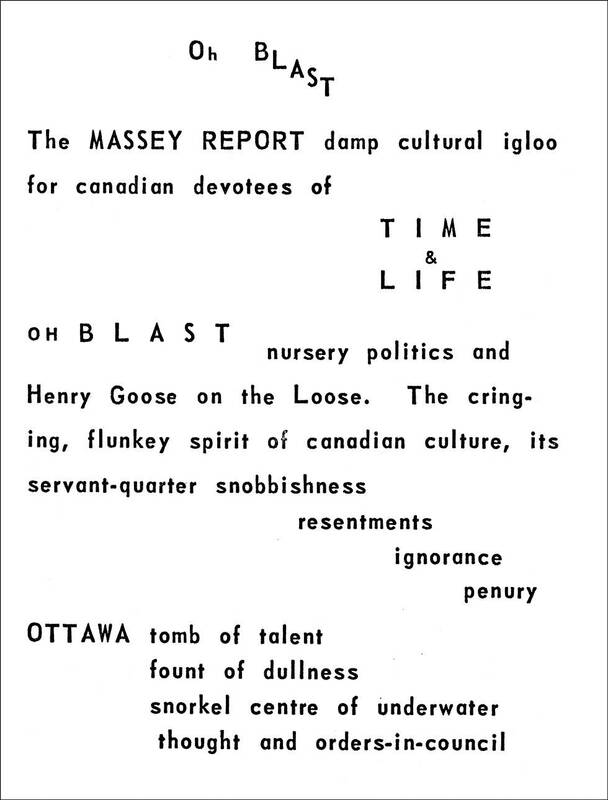 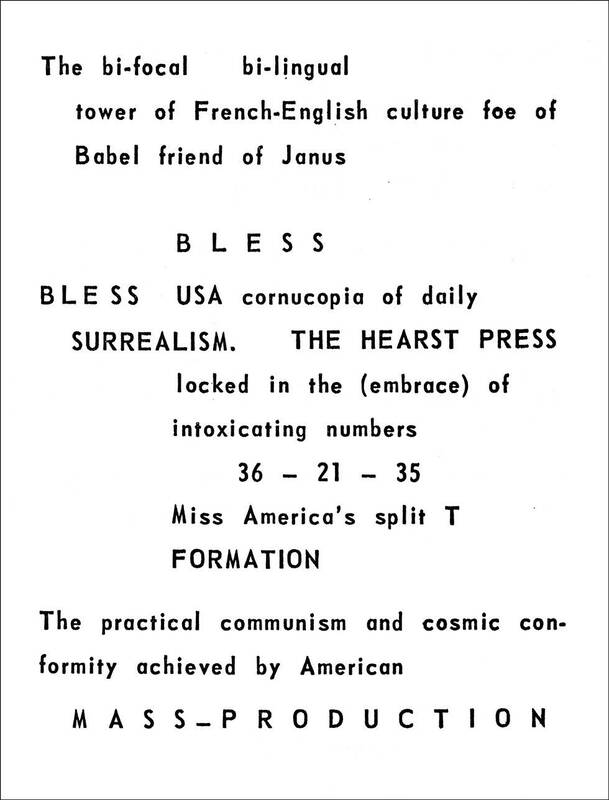 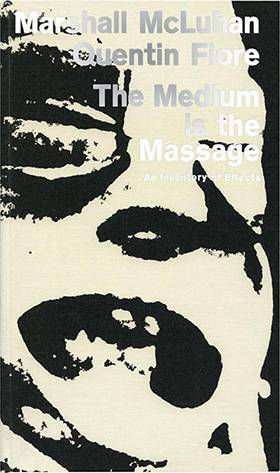 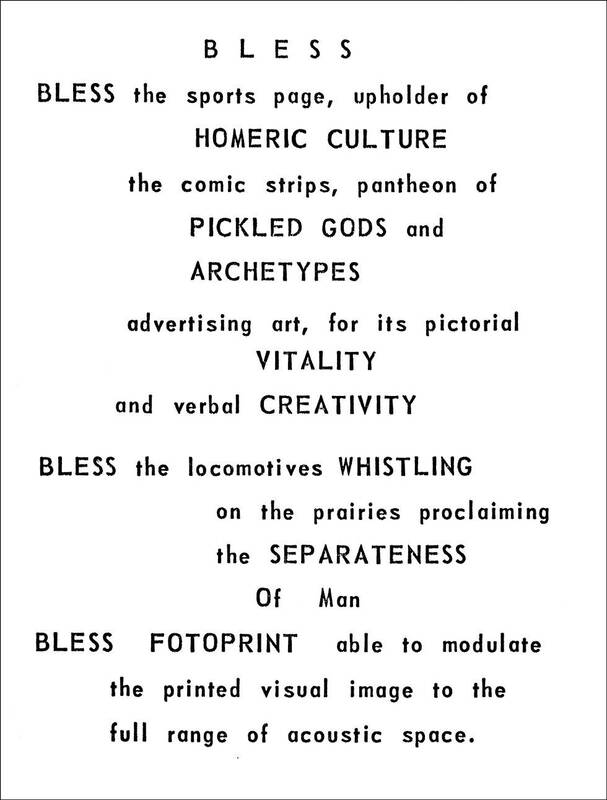 In the same year that Wyndham Lewis published Self Condemned, Marshall McLuhan took inspiration from Lewis’s journal BLAST and produced COUNTERBLAST, intended, like Self Condemned, to shake the city of Toronto out of its smugness, complacency, and spiritual torpor. 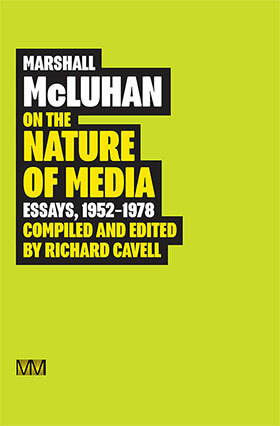 COUNTERBLAST spirals beyond its inspiration, pinpointing the paradox of creative and destructive changes issuing from the same social forces, as Lewis had noted, but at the same time revealing the origins of McLuhan’s cultural probes, the basis of the model for media analysis that would find full expression in his writings through more than thirty years following the appearance of COUNTERBLAST. 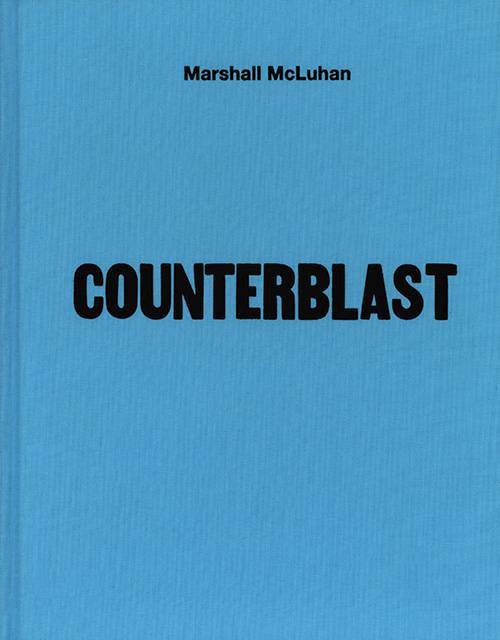 The key to COUNTERBLAST is not a deconstruction of Lewis’s BLAST, but the articulation of the need for a counter-environment as a means of perceiving the dominant and unnoticed environments that shape all societies and all human culture in its complex relation to emerging technologies.